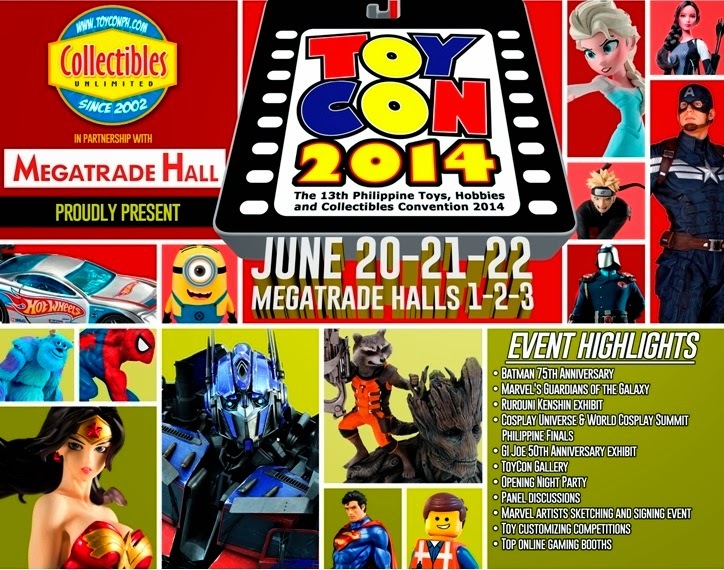 The Philippine TOYCON: The Biggest Pop Culture Event in the Philippines celebrates its 13th year - Hello! Welcome to my blog! This year’s TOYCON will highlight the 75th Anniversary of DC Comics’ caped Crusader, Batman with a huge Batman display area, a life size Batpod, a kids’ activity area, exciting new Batman merchandise, and a gallery of art and collectibles of the Dark Knight Detective. Also catch the Samurai X fever as Warner Brothers previews the Rurouni Kenshin live-action film trilogy Parts II and III with a display of original costumes from the sensational Japanese hit movie. Get ready to be blown into space with Marvel’s latest epic movie, The Guardians of the Galaxy, with awesome displays, sneak peeks at the movie’s trailers and behind-the-scenes, special fan activities, and the Marvel roster of superstar artists like Leinil Yu, Carlo Pagulayan, Stephen Segovia, Roy Allan Martinez and Kim Jacinto. Fans of a galaxy far, far away unite with the 10th Anniversary of the Star Wars 501st Philippine Outpost. Enjoy a parade of your favorite Star Wars characters, Stormtroopers, Jedi Knights and droids and, of course, the Dark Lord of the Sith himself, Darth Vader as they invade the Philippine ToyCon stage. The TOYCON also features the biggest in Cosplay with the Philippine Finals of the World Cosplay Summit happening at the event and TOYCON’s own Cosplay Universe unleashes a barrage of individual and group cosplayers led by Asia’s Cosplay queen, Alodia Gosiengfiao. Gaming takes center stage also at the TOYCON with the biggest game companies, like Level-Up, War Gaming, Cherry Credits and Uplink releasing the latest versions of their top games. 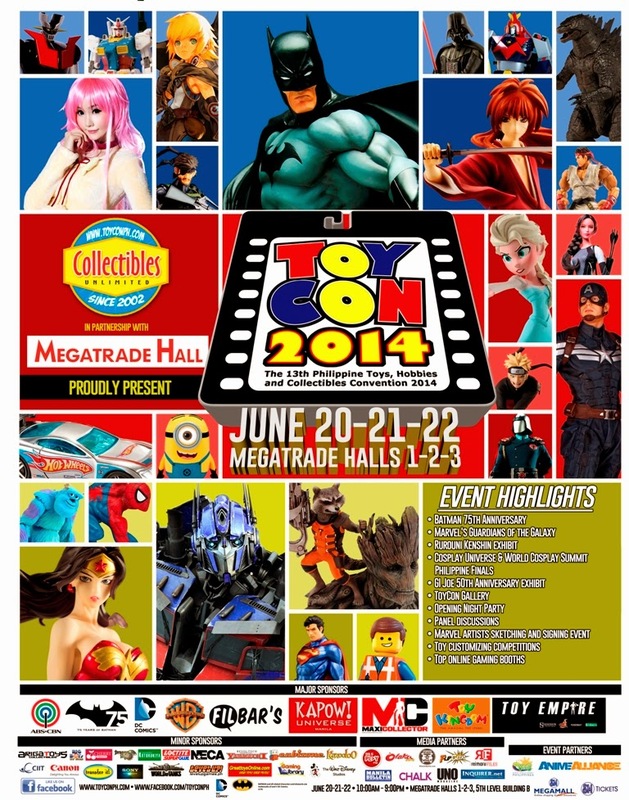 And off course, TOYCON would not be complete without the biggest exhibitor floor of all pop culture merchandise in terms of apparel, collectibles and memorabilia, graphic novels and comics, cosplay paraphernalia, and toys, toys, TOYS! 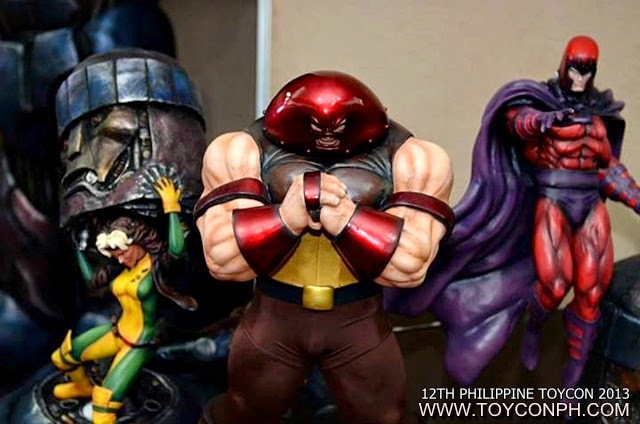 More photos of the past Toycon events below. This is co-presented by Collectibles Unlimited and the SM Megatrade Halls, and sponsored by Maxi Collector, Toy Kingdom, Toy Empire, Warner Brothers Pictures and Pacific Licensing. With special thanks to Big Boys Toy Store, Great Toys, Arigatoys, Authority Hoodie, Transfer It, Otaku Asia, War Gaming, Uplink, Level-Up, Cubizone, Canon, Level-Up, Cherry Credits, CIIT, Loctite, Walt Disney Studios, gaming Library and Resorts World Manila. 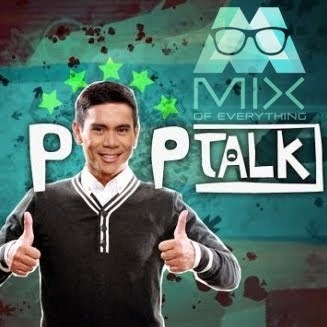 With media partners, ABS-CBN, Flip Geeks, Reimaru Files, WheninManila.com, Chalk Magazine, UNO Magazine, Manila Bulletin, Inquirer.net and 99.5 PLAY FM. Also supported by Anime Alliance and World Cosplay Summit.